Iron and manganese are often naturally occurring and are predominantly found in groundwater. We have a lot of it here in New Hampshire. Iron can lead to reduced water pressure by building up inside of your pipes. Manganese often makes the back of the toilet tank black. Water is a natural solvent, and given the needed time and conditions, it will dissolve anything it comes in contact with. 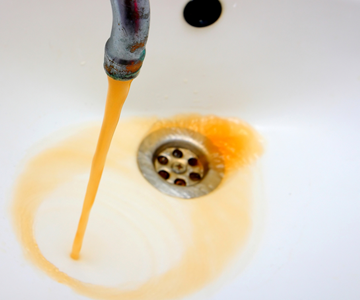 That is why, depending on where you live, your water can contain iron and manganese, which can cause rusty-orange or black staining on water-using appliances, fixtures, tubs, sinks, toilets and clothing. Iron & Manganese can be determined by a free water test from one of our Certified Water Specialists. 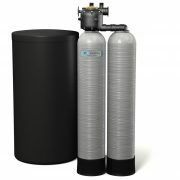 Kinetico has taken its best water softener and made it even better. 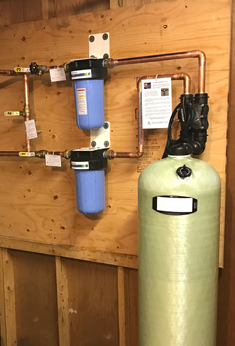 With improvements that make them more efficient and effective, Kinetico Premier Series softeners are ideal for homes with challenging water conditions. These high-flow systems are comprised of multiple tanks, so you will have a supply of continuous soft, clean water. Premier Series systems only operate when needed, without the use of electricity, so you will not have any computers or timers to program, set, repair or replace. 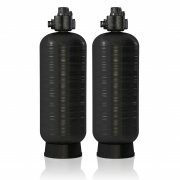 The twin tanks allow the units to run the valve and clean themselves with soft water, which results in the lowest maintenance possible. Two available tank sizes deliver a strong flow of clean, filtered water throughout any size home, while a choice of three media blends provides maximum flexibility. Fully programmable, field-proven control valve can be set up using local handheld devices* such as smartphones and tablets, or by simply using two buttons on valve faceplate. 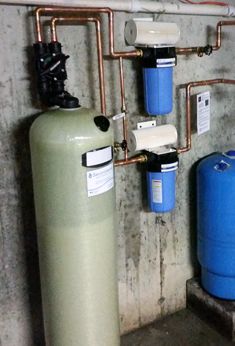 Tried and true engineering went into Kinetico’s Signature Series water softeners. 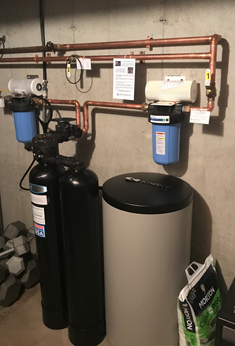 If you want to reap the benefits of over thirty years of product design and performance, a Signature Series water softener is right for you. Its twin tank design, combined with non-electric, on demand operation mean your water issues will be history. 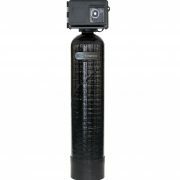 And so will any hassles or inconveniences you may have experienced with other water systems on the market. What you will have is an unlimited supply of soft water. 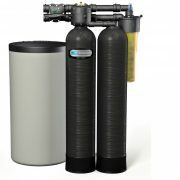 Powered by the kinetic energy of moving water—not electricity—these unique water filter and sofener combination systems soften and remove sediments or chlorine from your family’s water. 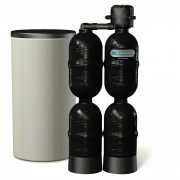 The unique multi-tank system provides a reliable, continuous supply of clean softened water with no timers or computers to set, adjust, repair or replace. 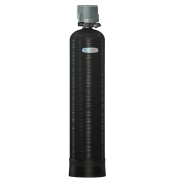 The electric Powerline water softener economically eliminates hard water spots, mineral deposits, scale buildup, iron stains and soap scum. It features a a metered regeneration for more efficient salt use, or an easy-to-use 12 day calendar clock for setting regeneration frequency. 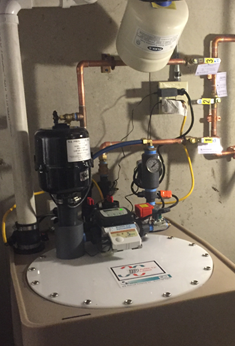 Due to the variables at each site, Commercial & Public Water Treatment is always custom configured using a wide range of technologies. We are happy to perform a Site Evaluation and then present your options in detail. 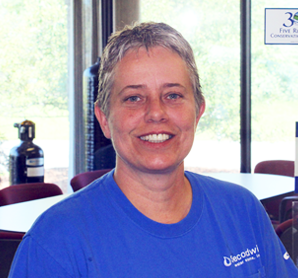 A New Hampshire, family operated, woman-owned business that serves over 10,000 residential and commercial customers. 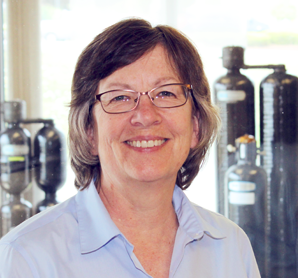 You will work with a Certified Water Specialist who will be responsive and honest. We are passionate about solving the toughest water quality challenges. With our commitment to exceptional customer service, technical expertise, and intimate knowledge of the region’s water quality issues, you can count on us to ensure that you love your water for years to come. Have any questions? Call us now! Our expertise and ongoing education is what sets us apart, 15 of NH’s 17 certified Water Quality Professionals are employed by Secondwind. We have solutions no matter your water problem or budget. From start to finish they exceeded my expectations. 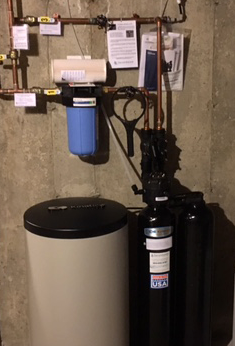 My hard earned money was well spent on my new Kinetico system, making our water safer for my family. I am stunned by their attention to detail and fantastic customer service. I would give more stars if I could! Prior to the appointment, the people we spoke with answered many questions that we threw at them (often several communications) which we greatly appreciated. We also appreciated that they gave us a quote based on what we really needed and did not try to sell us anything we did not need. 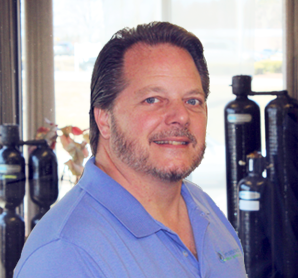 Very happy with our water softener and the customer service at Secondwind Water Systems! We worked with Nate Clark and can’t say enough about him and the gentleman who installed our system!! We recommend them and their system to anyone!!! 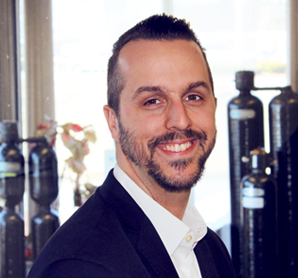 Jesse was professional, knowledgeable and a pleasure to work with. The installation went smoothly and the crew did an excellent job on the install, great attention to detail. The entire process was second to none. I would happily refer customers to you and would be happy to be a reference. As always it was a pleasure doing business with your company and personnel. Always pleasant and informative and attentive to our concerns or issues. Everyone who services our system every year as well as the techs who installed our new system are a pleasure to deal with. Terrific company to work with! Awesome products. 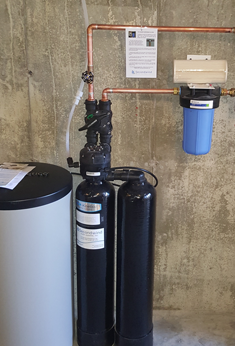 We did lots of research and had 3 quotes before choosing Secondwind for our water softener and the K5 Reverse Osmosis system. Both systems are topnotch and have changed the livability in our house greatly. We worked with Nate Clark who was so professional, knowledgeable and kind. When he says to contact him with any questions at any point, it’s clear he means it. They stand by their work and products. Truly couldn’t recommend Secondwind more. We service most of New Hampshire, parts of Northern Massachusetts and Southern Maine. 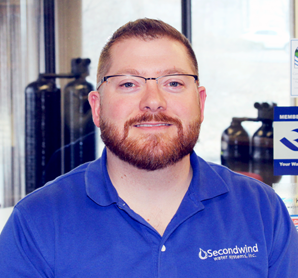 As a NH company, Secondwind has the personalized attention & regional expertise you expect in a local business. We are backed by the research and reputation of our national product partner, Kinetico. © Copyright Secondwind Water Systems, Inc.